Recently, Microsoft released Windows 10 Insider build 15002. The new Insider build comes with many new features including new Dynamic Lock feature, which auto lock device once the user is away from it. Currently, there is no detail how this feature works. 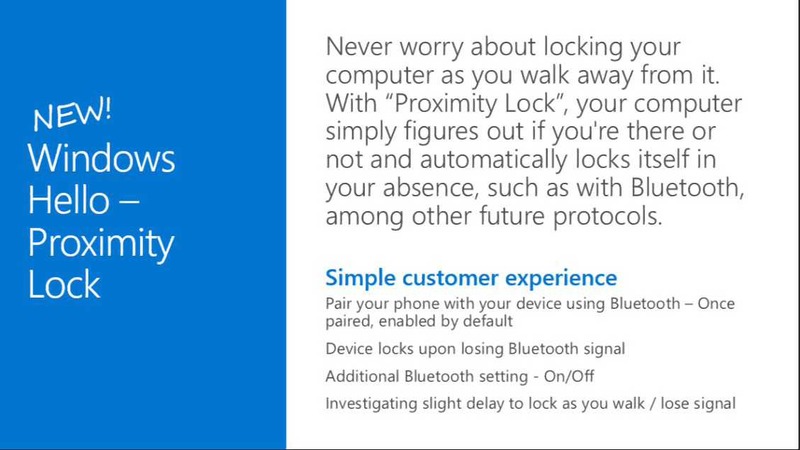 However, today WalkingCat posted a WinHEC event slide image related to Windows Hello Proximity Lock feature. According to the slide image, the Proximity Lock feature will allow smartphones to auto lock/unlock Windows 10 PC with help of Bluetooth. Once the phone is paired with the PC, the device will auto lock upon losing Bluetooth signal. The feature will also support future wireless protocols. 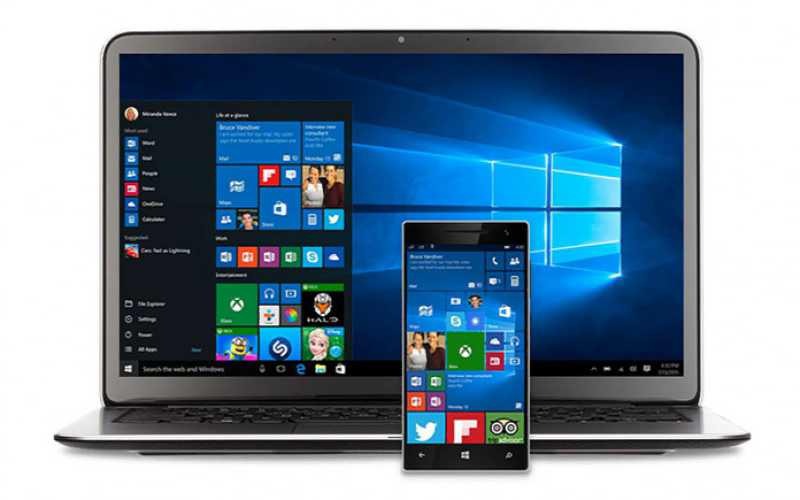 It’s unclear whether “Proximity Lock” is “Dynamic Lock” feature in Insider build 15002. It will be nice to have one more security feature in Windows 10 apart from Windows Hello eye tracking and fingerprint reading.